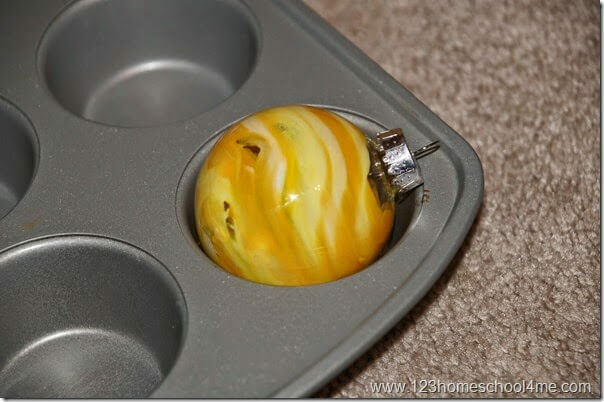 These crayon Marbleized Crayon Christmas Ornaments are gorgeous! The beautiful marbled effect of the melted crayons is just stunning. 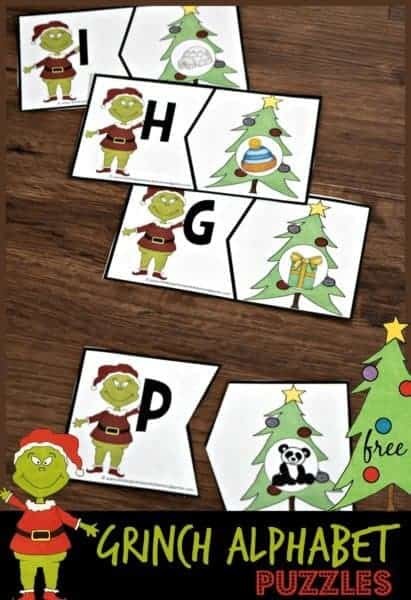 It makes a great Christmas activity for kids and the perfect homemade Christmas gifts. These Marbleized Crayon Christmas Ornament are spectacularly beautiful! I don’t think my pictures did them justice, but they are truly a beautiful work of art for our tree. 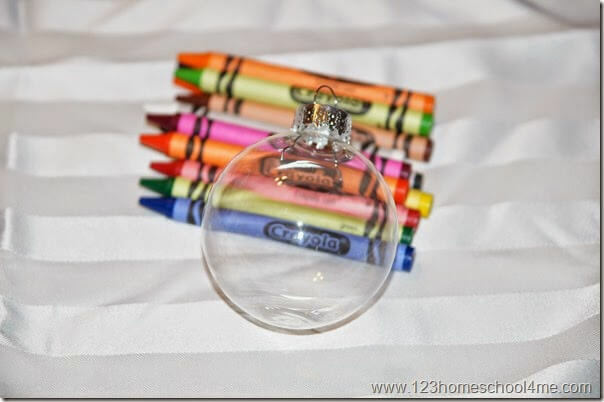 These melted crayon ornaments are easy to make plus kids love to help make these! Both you and the kids will be impressed by the beautiful marble effect the melted crayon makes in these one-of-a-kind Christmas ornaments. Although you can mix different colors, I highly suggest you make each ornament a certain color and pick shades of that color. It gives a really pretty marbled effect. 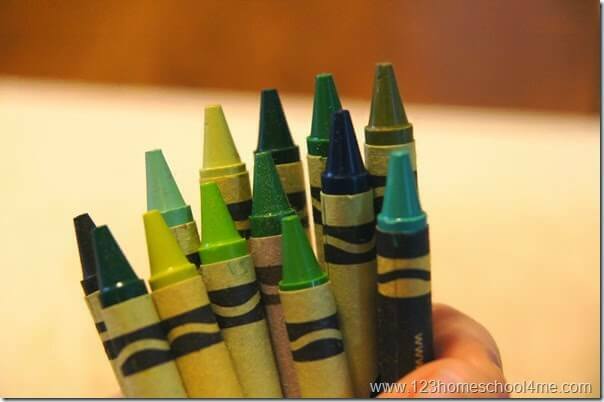 When you mix colors, you can end up with a brown ornament by mistake if the crayons over mix. 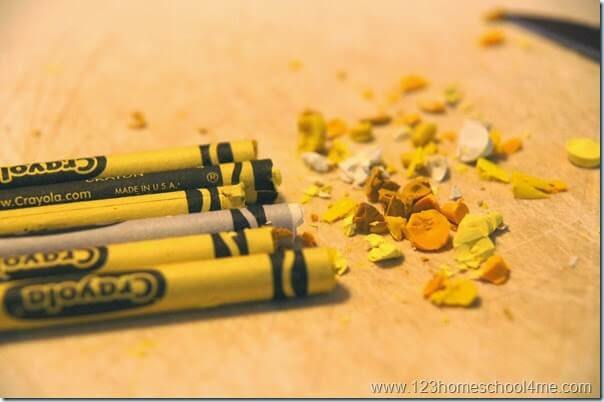 I find that cutting the crayon pieces into little chunks or shavings works best as it will shorten the amount of time you need to melt the crayons in the ornament. 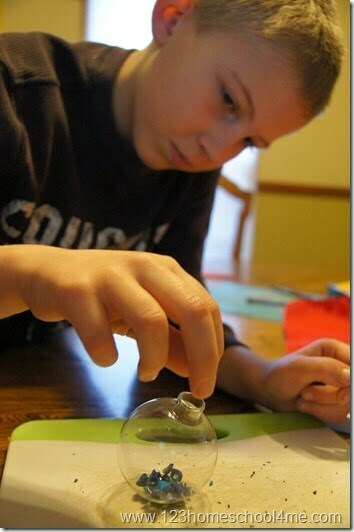 Your willing helpers can then put the crayon pieces inside the glass ornament. Now put the top back on. 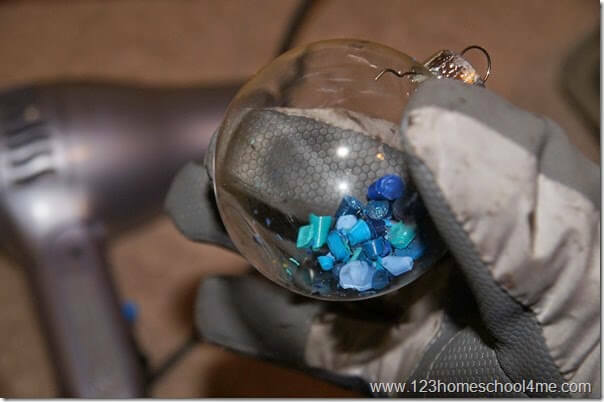 You will want to wear heavy winter gloves or use a good put holder because the glass will get hot as you point the hair dryer at the ornament. It needs to get hot to melt the crayons. As the crayons begin to melt inside you will gently rotate your ornament to cover all the inside glass and create a really pretty pattern at the same time. It only takes about 20 seconds or so. I did the holding of the ornaments at our house while the crayons were melting. I thought it was just safer. It never got to hot using my winter gloves. 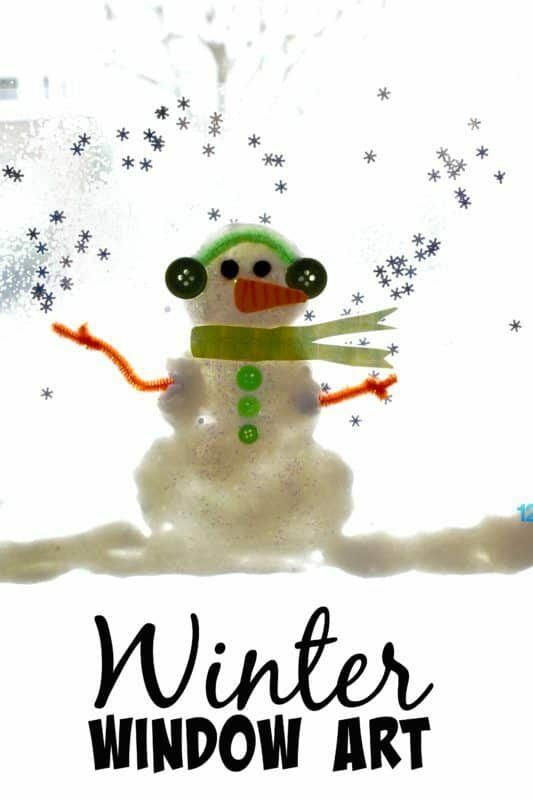 Please remember to use caution as you would completing any craft. Here is our first completed ornament. I just love the effect. These are so pretty; I think they rival any store bought ball ornament! Here are the 10 Melted Crayon Christmas Ornaments we made. My favorites are the mostly one color with swirls of marble painted effect colors in the same hue. But in case you were curious, the two on the right were made with a mixture of colors. My husband thinks the upper right looks like the bouncy balls for sale in the 80s. We made it with red, yellow, and blue. The one on the bottom right was white, gold, pink, and green. Still pretty, but my favorites are the more striking bold single colors. 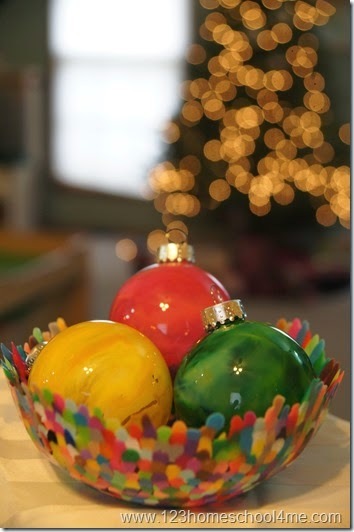 These fun, easy to make Melted Crayon Ornaments are going to be a favorite Christmas Activity for Kids at your house. 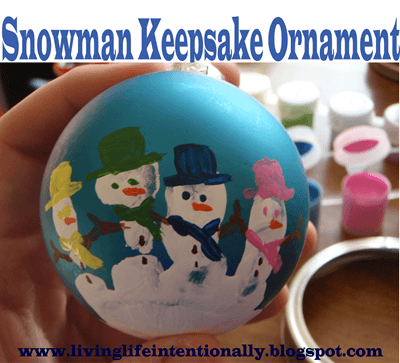 They make beautiful additions to any tree and wonderful kid made Christmas gifts for Grandparents, neighbors, or friends. If you are admiring the beautiful bowl the ornaments are in, we made it! 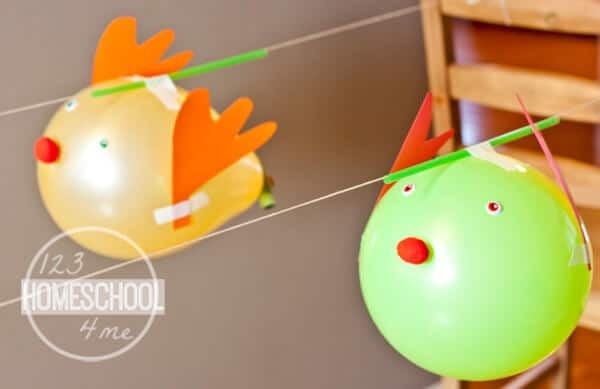 Here are directions for one of my kid’s favorite crafts – our kid-made Colorful Bowl Craft for Kids. 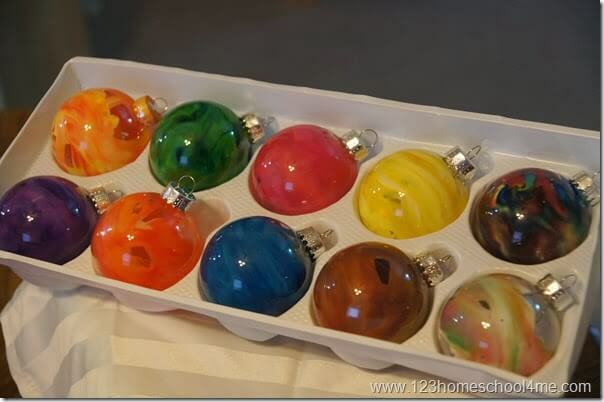 I’m wondering about storage — would they crayons re-melt and become blobs in the bottoms of the ornaments? We store our Christmas stuff in the attic where it gets really hot in the summer.